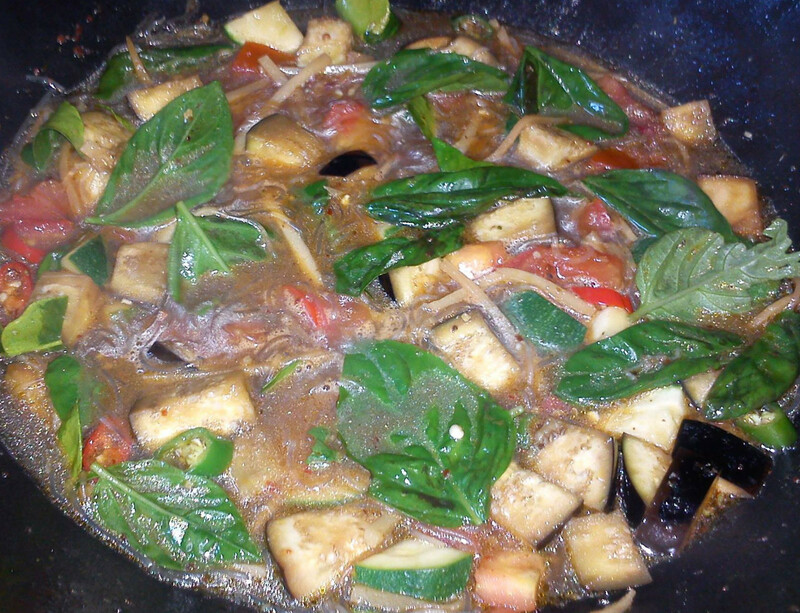 Thai January – Week 2, Part 1, Too much Thai? Simply not possible! Since we seem to be cooking Thai like it’s going out of style, I thought it would be better to do a twice weekly post to try and keep up. I go back to work next week, so things are likely to slow down a bit in the kitchen, for my part at least. So far, even the things that haven’t worked as planned have still tasted good, which may be part of the reason why we’re still eating almost solely Thai food. We had a break from cooking and went op shopping instead. I do enjoy a bit of op shopping, you never know what you may stumble across. We actually ended up with a small pile of ‘new’ crockery. Not that we have room for it, but we were bored with our small selection of plain white plates. Lying awake in bed, as I do too often, I thought Thai Rice Balls would be a good idea. So in the morning I set about figuring out how I’d do it. I put some sticky rice on to soak, and prepared the vegies to mix with it. I cooked some spring onion, grated carrot and zucchini, chopped peanuts, diced mushroom and tofu in some Thai spices and then later mixed it with the sticky rice. 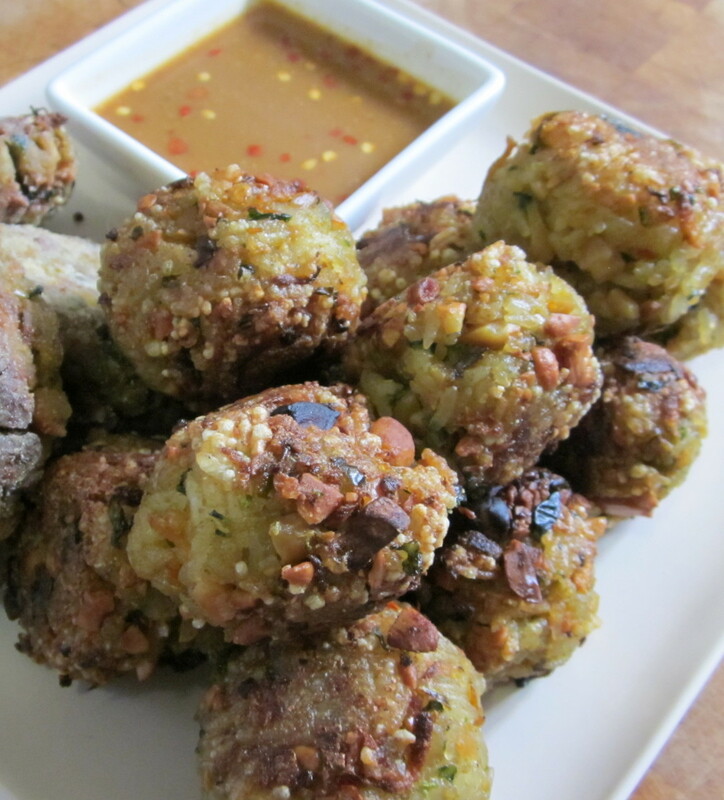 I shallow fried the rice balls and made a dipping sauce. We had them for dinner with the last of the failed Pad Thai and the pancakes. Steve voiced his intention to cook for that night, so I settled for making some green curry paste to use in the next day or two. I figured a paste, like a good curry only improves with a day or so to develop. Steve wanted to make the fried tofu dish from New Year’s eve again, and ended up making a double batch. There was also some red curry paste to use up, so he made a Northern Curry, which is made with vermicelli noodles. With an array of leftovers still in the fridge, I restrained myself, and just made the Green Vegetable Curry. 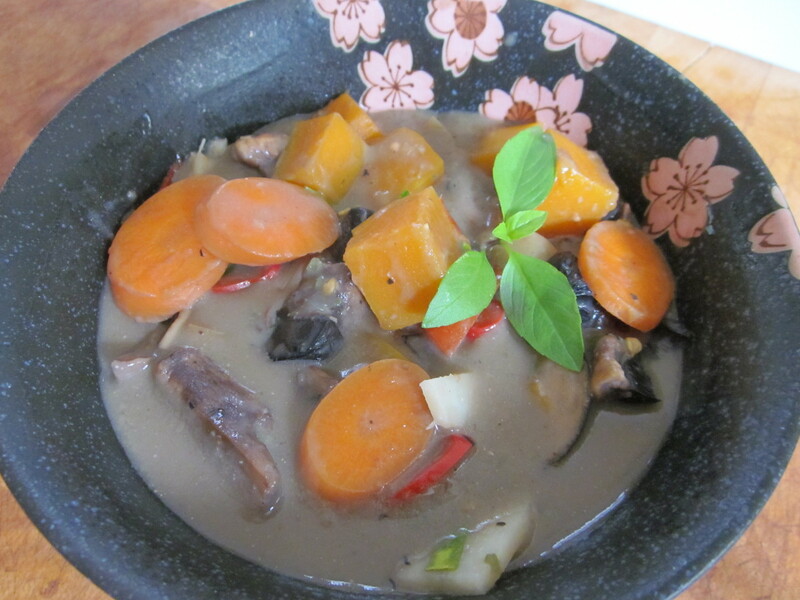 I used eggplant, carrot, pumpkin, mushroom and bamboo shoots. I was a bit unsure about how it would turn out, but it was actually really good! The other thing I made was a basil infused lemonade. 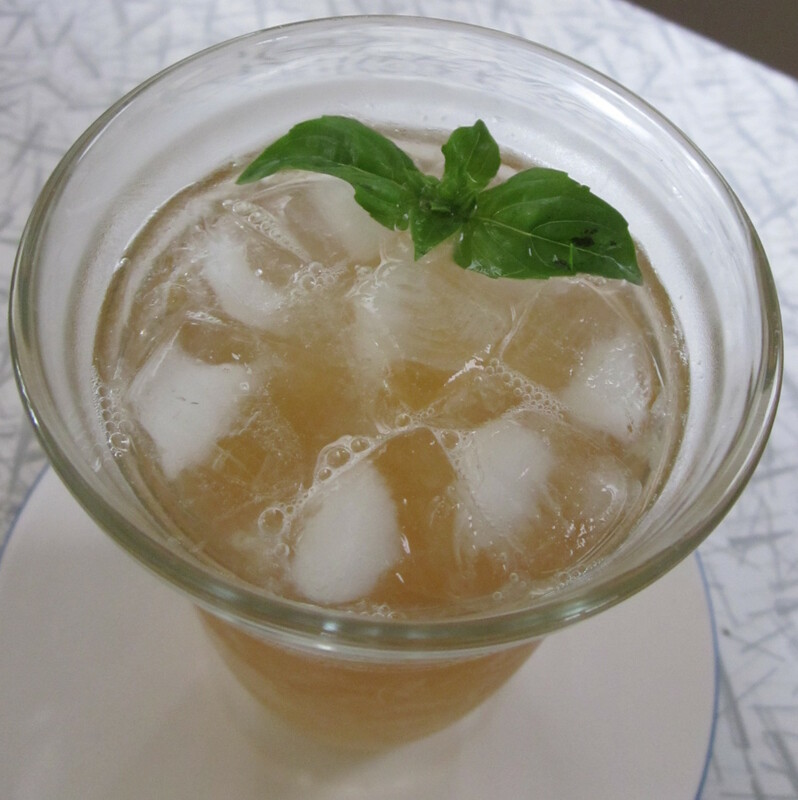 I’m not sure how Thai that is, but the lemonade was based on a Thai lemon soda recipe, and basil is widely used there, so I think it counts, and it is mighty refreshing on a hot summer day! There is only a hint of basil, but I’m not sure that making it a lot stronger would work. Thankfully for my waistline Thai food doesn’t seem to be particularly fattening – at last I hope it isn’t!